A new age of speedy wireless internet connectivity is upon us, thanks to not only the possibly over-hyped 5G (mass rollout of which is not really due until next year) but the next generation Wi-Fi standard, 802.11ax, aka Wi-Fi 6. Put simply, Wi-Fi 6 makes possible speeds of up to and possibly exceeding 1Gbps, three times faster than current Wi-Fi 5 (aka 802.11ac). Even if you don't subscribe to 1Gbps-plus service from your internet provider, all your data will travel faster and more efficiently from further away from your router, even if you maintain your current internet subscription level thanks to the increased efficiencies and capabilities of Wi-Fi 6 technology. Unlike 5G, you can buy Wi-Fi 6 products now. And even if you only have a Wi-Fi 6 router, a busy connected household with multiple users simultaneously streaming 4K content, surfing the web, using Skype or FaceTime, and playing games online on current Wi-Fi 5 (802.11ac) devices should see performance improvements. Last year, the Wi-Fi Alliance announced simpler names for Wi-Fi enhancements, hoping to replace the clumsy and technical 802.11xx identifications. Specifically, Wi-Fi 6 is the new 802.11ax, Wi-Fi 5 is the current 802.11ac standard, Wi-Fi 4 is last-generation 802.11n. All Wi-Fi router makers are slowly transitioning from the old 802.11xx to the new Wi-Fi X naming structure. Second, old Wi-Fi version naming is the least confusing part of Wi-Fi. Discussions about Wi-Fi in general and Wi-Fi 6 in particular include designations such as 4x4 and 8x8, MU-MIMO, 1024 QAM, OFMDA, and a litany of MHz, GHz, Mbps and Gbps references. 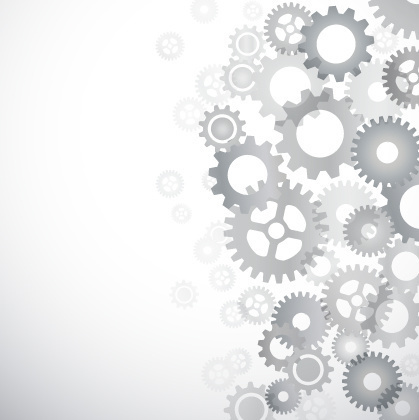 We'll try to bypass most of this ridiculously confusing alphanumeric jargon. With these language issues out of the way, let's talk about the myriad improvements you'll get by migrating from Wi-Fi 5 to Wi-Fi 6, including the new technologies and increased processing power found in Wi-Fi 6 routers. Wi-Fi 6 can provide pure download speeds up to four times faster than current Wi-Fi 5 – from 300Mbps to 1.2Gbps (or 1200Mbps), if you subscribe to that level of internet connectivity service from your cable company or internet service provider. Wi-Fi 6 enables twice as many simultaneous users to get steady connections. Perhaps you're streaming Netflix, while one roommate is playing Fortnite, and another is streaming a virtual reality NBA game. Or you invite a couple of dozen of your best friends over for the 2020 Super Bowl or Tokyo Olympics – everyone will see less (or even no) buffering, stalls, freezes or skips thanks to a technology called MU-MIMO – multi-user multiple input multiple output. With each of these multiple simultaneous, users will also get 50 percent more data delivered, which means one person streaming a 4K movie on Netflix won't slow up another person's Skype video chat. That's courtesy of a technology called 1024 quadrature amplitude modulation mode, or simply 1024-QAM. Wi-Fi 6 is more effective at a longer range, which means potentially spotty video from a doorbell camera or other outdoor Wi-Fi security camera at the fringe of your Wi-Fi coverage area will now stream smoothly thanks to a technology called "beamforming," a more intelligent direct-to-device transmission technology. Wi-Fi 6 removes those annoying pregnant pauses, called latency, between the time you initiate a command — tapping an app control or asking a voice assistant to turn on a smart vacuum, for example — and that action actually occurring thanks to a technology called OFDMA, or orthogonal frequency division multiple access. These notorious Wi-Fi latency issues are why serious gamers hard-wire their systems to the internet via Ethernet cables rather than using Wi-Fi, a concern Wi-Fi 6 could alleviate. You'll get more processing muscle in Wi-Fi 6 routers, as they enable the use of AI, which means the system knows which of the myriad devices connected to your network needs the highest level of connectivity. Wi-F 6 doesn't ping your network as frequently, so the batteries in smart home devices such as smart locks and sensors — even smartphones and tablets connected via Wi-Fi – will last a lot longer thanks to a technology called target wake time. Wi-Fi 6 includes next-generation WPA3 security, so your connections are less likely to be hacked or spied upon, and makes it harder for potential interlopers to "guess" your password. All of these improvements assume you have a Wi-Fi 6 cable modem and router, and all your connected devices — smartphones, laptops, gaming consoles, smart TVs and media streamers, smart home devices — are equipped with Wi-Fi 6, which they won't for at least a year or more. But, if you buy a Wi-Fi 6 router now, all your current Wi-Fi 5 and 4 (such as all home Wi-Fi security cameras connected via 2.4GHz) devices will get a performance boost, especially in a home filled with Wi-Fi devices and constantly connected users all demanding high levels connections at the same time. This cable modem specialist will start selling its Wi-Fi 6 mesh system sometime this spring at an as yet undetermined price. mAX Pro Mesh is a tri-band system — two 5GHz and a Wi-Fi 6 2.4GHz networks (the 2.4GHz network on dual band Wi-Fi 5 systems actually run Wi-Fi 4/802.11n). The second 5GHz band is dedicated to communications between nodes. Arris says the mAX offers 500 percent faster speeds and four times the range of current Wi-Fi 5 mesh systems, with a two-node system able to cover 6,000 square feet — because of Wi-Fi 6's increased range, you'll get increased placement flexibility when locating client nodes around your expansive abode. We'll have a review of the mAX system as soon as we can lay our hands on it. 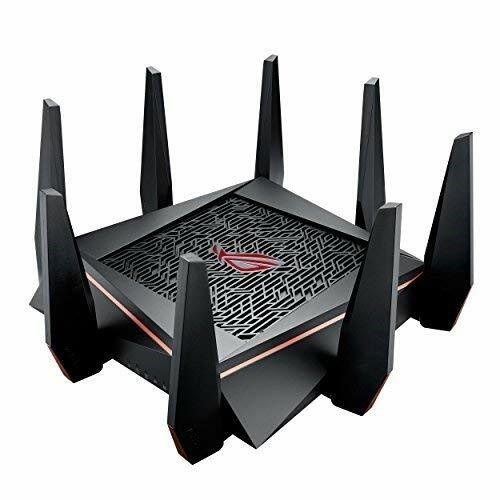 According to this Republic of Gaming (ROG) maker, this monster gamer-specific tri-band Wi-Fi 6 router, is equipped with 8 antennas (as will all top-flight Wi-Fi 6 routers) and enables potential output of "nearly 11,000Mbps" (10Gbps), with the third 5GHz band "reserved for gaming devices to prevent other wireless activity from interfering with your primary machines." The Rapture also utilizes the barely-used 5GHz DFS band to create the clearest possible wireless connection to the cloud and other gamers, and is equipped with the company's AiMesh technology, which means RT-AX92U expansion nodes can be added to create a Wi-Fi 6 mesh. No word yet on when or how much on either the router or two-pack AX6100 mesh node package. Netgear is already selling its futuristic-looking dual-band 4x4 AX6000 (aka RAX80) for $399, and will soon start selling its Star Wars TIE imperial fighter-like tri-band 8x8 AX12 (aka RAX120) for, well, more money, sometime this spring. 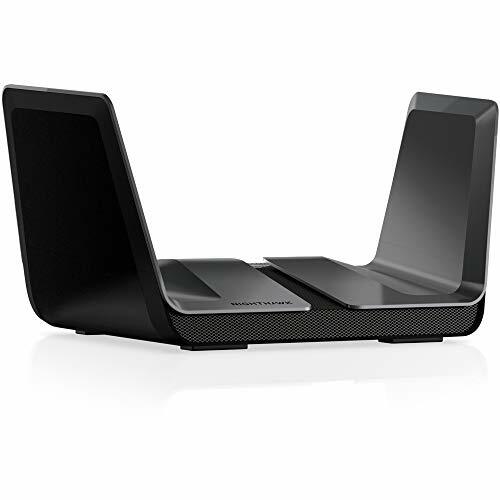 The wings on each of the Nighthawk Wi-Fi 6 routers cleverly disguise the otherwise ugly spider-like antenna array you'll see on other Wi-Fi 6 routers. Available on Amazon and Best Buy. Like Netgear and Asus, TP-Link is making both mainstream and gamer-specific Wi-Fi 6 routers. The dual-band Archer AX6000 is currently available for $349.99, while the red-tinted alien-looking tri-band Archer AX11000 gaming router will be available by spring for $449.99. TP-Link also will start selling its own Wi-Fi 6 mesh system, the Mesh Deco X10 AX2700, for $349.99 sometime this fall. Charter Spectrum Wi-Fi 6 Router: Last August, the cable giant announced a Wi-Fi 6 router — with no additional technical or availability details other than a vague capabilities YouTube video, and no follow-up since. 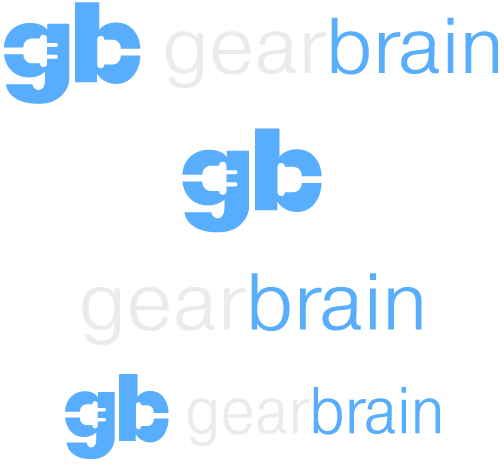 The company also said it "is also developing a converged wireless router solution to be introduced in 2019 that will bring further enhancements to the Spectrum Wi-Fi router including the ability to utilize licensed spectrum and several IoT radio technologies into a single form factor design." Whether this means a combined cable modem/router remains to be seen. Comcast: At CES, the cable giant and Intel announced a partnership "to develop Wi-Fi 6-enabled technologies that are designed to deliver the fastest, best Wi-Fi customers have ever experienced." One assumes this means a Wi-Fi 6 cable modem or modem/router, but no other product or availability details were made available. D-Link AX6000/AX11000 Ultra Wi-Fi Router: At CES, D-Link announced both dual-band (AX6000) and tri-band (AX11000) Wi-Fi 6 routers with no other details, and are scheduled for release sometime later this year. Netgear Orbi Wi-Fi 6: At CES 2019, Netgear announced a tri-band 4x4 Wi-Fi 6 Orbi RBK50-series mesh system is coming later this year. Other than these routers, Kevin Robinson, VP of marketing for the Wi-Fi Alliance, says that a wave of "client" devices — laptops, smartphones, smart TVs, gaming consoles, media streamers, smart home and other IoT gear, — equipped with Wi-Fi 6 are due this fall. So, if you're considering the purchase of Wi-Fi connected gear, especially a smart 4K TV or any device through which you'll be streaming 4K video, I'd definitely stall until you can buy one equipped with Wi-Fi 6. The problem is that right now, no Wi-Fi device of any kind is capable of operating at that speed, at least not without some complex connectivity jury-rigging. As with any Wi-Fi standard, you can only get the speed your device is capable of receiving. Right now, the fastest Wi-Fi devices, such as Apple's MacBook Pro, are equipped with so-called 3x3 radios, which means the fastest its Wi-Fi connection will be is in the 750Mbps neighborhood — and that's assuming you're subscribing to that level of internet connectivity from your cable provider and you've accordingly jury-rigged your Wi-Fi 5 router to deliver that Mach 3-like speed. In normal operation, a Wi-Fi 5 router can only deliver Wi-Fi speeds of around 300Mbps and change. It is likely that pending Wi-Fi 6-equipped gear could be equipped with 4x4 radios, which will wireless transmit data at 1Gbps (1000Mbps) speeds, but only if you subscribe to that level of service from your cable provider and only you get one of the aforementioned new Wi-Fi 6-enabled cable modems and a Wi-Fi 6 router. A 4x4 Wi-Fi 6 radio in a laptop or other connected gear, however, requires more antennas and more powerful processing, so these first Wi-Fi 6 devices initially will be expensive to mirror their super speediness. Bottom line? Buying a Wi-Fi 6 router now when all your other connected gear is "only" Wi-Fi 5 is recommended only for really congested Wi-Fi households. In these crowded Wi-Fi environments, everyone will definitely see a boost in service and network performance with a Wi-Fi 6 router.